If you are like most people, you have a sale price in mind when you decide to sell your home. It makes sense to get as much money as you can from the sale of your home. Smart sellers make smart choices about what needs to be done and what is "good enough." Every home and every situation is unique. To help you decide what's the best way to spend your spruce-up-dollars for the best return, here are some of the projects that impress buyers. I've listed these fix-ups in the order of least expensive to most costly. One of the easiest and most economical ways to increase the perceived value of your home is simply to clean the areas around your home. Every neighborhood has one home where the landscape always looks great. And every neighborhood has one home that's, well... a mess outside. Be the good-looking yard! Attractive landscaping can add up to 28% to your home's value. But don't think you have to invest in all new plantings (unless you've ignored our out-of-doors for years!). Usually, just working with what you have is good enough. Do the basics: Keep the lawn mowed, trim all the shrubbery, plant what looks good in every season, and add a few seasonal plants for color and interest. Mulch areas that aren't turf, ornamentals, or walkways. Just the way you are doing inside your home, get rid of clutter. Put the nuts and bolts of home ownership -- garbage cans, recycle bins, brooms, rakes, and garden hoses -- out of sight. If you want to throw some money at outdoor improvement, think furniture. New outdoor furniture is something you can use for smart staging now, and take with you when you move. Staging outdoor areas to make them comfortable and attractive always impresses buyers because it makes the home seem to have more usable living space. Remember that new doesn't always mean brand new off-the-shelf. Check Craigslist for stylish outdoor furniture you can spray paint to look new. A well-designed and well-maintained landscape will add money to your asking price. Buy good paint, not necessarily the best, but not the cheapest. Good paint covers better and won't splatter or drip the way bargain paints will. Cut in the walls with a brush first -- corners, around windows and doors and where the wall meets the ceiling. Then roll walls using a screw-on broom handle on the roller frame. 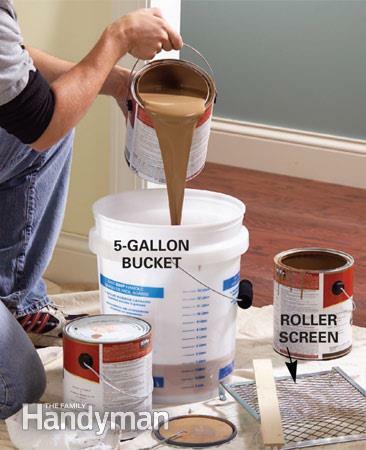 Use a 5-gallon bucket and a screen from the paint store, not a small drip pan. 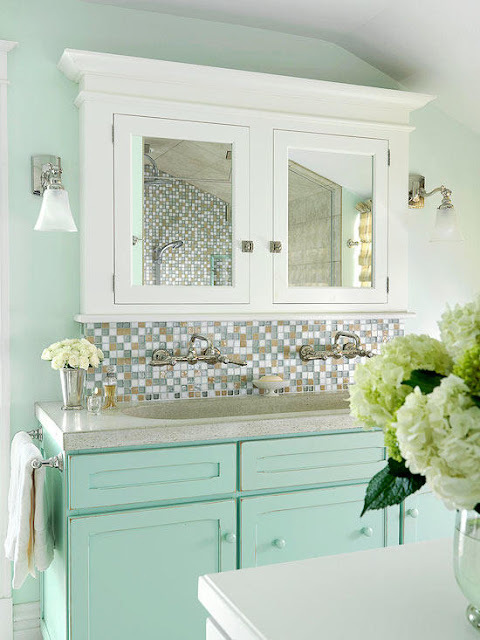 Choose a color everyone will like, and have it harmonize with the immobile fixtures of your home -- counters, bath fixtures, and flooring that stays in place. Use the same color in all rooms. Use semi-gloss on bath and kitchen walls and flat everywhere else. Painting a ceiling sounds daunting, but it can be done when you screw on that broomstick extension on the roller frame. A fresh coat of white on a ceiling brightens the whole room. Don't paint trim unless you can do a good job. A good job means you have done it before or you enjoy doing a careful job of tedious work. Get professional equipment to do a pro job at painting. Unless a buyer is paying cash (no mortgage or bank) he's going to need a home inspection of your property. Get ahead of any complications, and pay for your own inspection before going to market. These inspections can turn up nasty surprises, both big and small. Termite infestations, cracked foundations, electric outlets that aren't grounded, floor joists or rafters that have been cut into and weakened, poor water pressure, squirrels in the attic, mold in the crawl space, and a host of other problems you may never have known you were living with. There are also region-specific dangers to be aware of. For instance, one in 15 U.S. homes is estimated to have radon levels at or above the EPA action level. The money you spend on a home inspection is one of the best pre-listing expenditures you can make. The average price is $315, more if your home is larger than average, less if you own a small condo. When you hire your own inspector, you can fix what is going to be a deal-breaker or a negotiating chip for buyers. 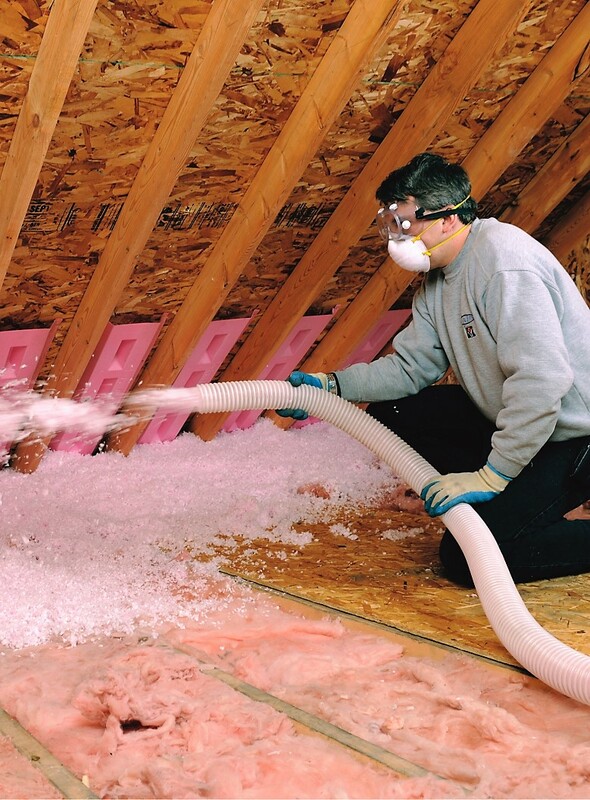 Good insulation helps a home be energy efficient, and buyers love energy efficiency. In fact, according to a survey on Remodeling.com, homeowners can recoup a surprising 116% of the costs of attic insulation. Newer homes will usually have sufficient insulation in both walls and attic spaces. But in older homes, the walls may have been poorly insulated and the materials matted or poor quality to begin with. If you are ambitious and don't mind working in cramped, uncomfortable spaces, you can do it yourself and save some money. Whether you use blown-in insulation or batting, you'll need protective gear and a helper. But I recommend calling in professionals to get the job done quickly and done right. If you are willing to do the work, you can save $500 or more. I always look at the roof when I am considering a home purchase. A roof that looks compromised can indicate damage to interior ceilings and walls. A single inch of rainfall can put nearly 1,500 gallons of water onto a roof, causing problems to both the shingles and structure. Typical shingled roofs last 20 to 30 years. Today's 30-year, heavy-duty, shingles look better and don't cost much more than the 20-year ones. This is the kind of upgrade that you can specify in your MLS listing, the kind of thing that home inspectors and home buyers like. 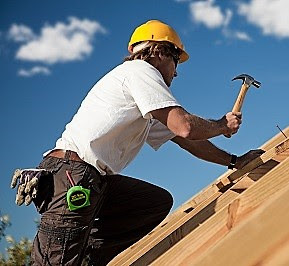 It's difficult to make repairs to a shingled roof without it looking like a quick fix. A buyer is going to ask for a discount if he sees your roof has patches or missing shingles. And what he asks for as a discount will most likely be more than a new roof will actually cost you. 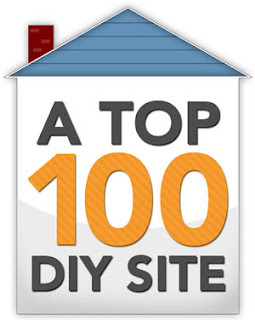 If your roof is metal or tile, repairs are easier. Sometimes all a roof needs to look new is a power washing, a job best done by experts for the sake of personal safety and the protection of your roof surface. After the roof, windows are another common feature buyers ask about. Older homes can have drafty windows that let air escape and increase energy bills. New windows look better, are easier to clean, and give buyers peace of mind that they're willing to pay extra for. In fact, when you sell your house, your window replacement can recoup 73% to 77% of what you pay at selling time. If your windows are old, get estimates from local window installers. My rule of thumb is to hire a company that does this routinely, rather than a handyman. Typically, the pros will save you time and do a better job. Bathrooms are incredibly important to buyers, for obvious reasons. Not only do they want to have enough bathrooms for the family and their guests, but they also want a master bathroom that's spacious, clean, and modern. To wow home buyers, you can replace your tub, put in a new sink, and replace the tiles if they're worn or cracked. Bathroom additions can see an average 86.4% ROI. But even minor upgrades to your master bathroom can make a favorable impression on buyers. If you can't afford a tub replacement, it can be professionally sprayed with epoxy for a like-new look. Sinks and toilets are much easier and less costly to replace. The kitchen is still the heart of the home, and buyers care a lot about this room of the house. Completing a minor kitchen remodel can see an average return of 98.5% at resale. Minor, pre-sale remodeling projects can include resurfacing the cabinets, installing new light fixtures, a new backsplash, and new appliances. 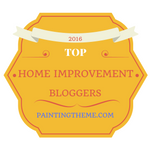 Admittedly, most of the above recommendations I technically can't label home staging. They are more ambitious than that. But all of them are upgrades you can enjoy now until you sell. These are the kinds of projects that will make your home more attractive, valuable, and comfortable immediately and will help justify a better selling price. And, once you're done, it's time to move onto our favorite part of the pre-sale process: homestaging! You can get some excellent homestaging advice in my $4.99 eBooks on how to stage your home to make it sell fast for a price you like.